There is a lot of confusion out there about what is a Smart Meter and a lot of people have confused them with Energy Monitors, which help to monitor your actual energy usage. Energy Monitors can often be offered and installed with Smart Meters as a complimentary product but they are not Smart Meters in themselves. A Smart Meter is a new kind of gas and electric meter that replaces the standard type currently installed. The idea is that this new generation of meters will automatically send electronic meter readings to your utilities supplier. The theory is that this will mean no longer will anyone have to read your meter and that your bills will be totally accurate, with no more estimated bills that lead to over or under payment. Smart Meters work in a variety of ways but the most common is with a SIM card similar to that in your phone and will use them to update your readings. A Smart Meter by itself will not save you money. It is a reporting mechanism for your utilities usage. However, by the virtue of the fact that your actual bills will be accurate it might save you money. Equally, the Smart Meter can be combined with other measures such as the Energy Monitor to help you keep track of your usage and learn your patterns. If you combine this with changes in your habits and utilising energy efficient tips then you could stand to make a saving over time. However, the potential cost saving is really at the Utility Providers end. They will be able to run more efficiently as they will know what amounts of energy they need and when they need it. They should also be about to cut down on the mobile meter reading work force. It could also lead to Utility Providers working closer with the individual home owner in offering plans and programmes tailored to the individual need. Potentially it could lead to actual lower costs for gas and electric, but the Utility Providers shouldn’t be relied upon to pass this onto the customer, especially not if the basic costs of the utilities continues to rise. Although there is a commitment to have the new generation of Smart Meter in place by 2020 there is no defined start date for the scheme and in the current climate it might well slip between the financial cracks. However, since it is in the Utility Providers best interests then it is likely that they will implement the scheme regardless. There shouldn’t be any cost to any home owner for the change of the meter, but the Utility Companies might choose to charge for the Energy Monitor add-ons. It’s worth keeping an eye out for and could help stop bill queries and payment disputes in the future. In the mean time it maybe worth considering installing an home energy monitor, our recent post ‘Do I need a Home Energy Monitor?’ provides further information. Amazon now stock a full range of energy monitors, see here. Great post, very informative, and great to see the advantages to consumers being stated for a change, instead of all the negative messages about whether suppliers can be trusted with your energy data. With a smart meter, you will never receive an estimated bill again, and you will be able to see, every week and even every day, how much you owe the energy supplier. 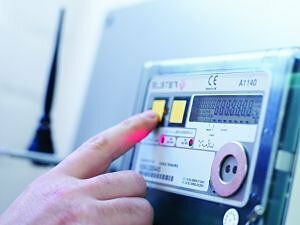 Smart meters stop all risk of receiving an excessive bill at the end of the year, because the supplier has set a monthly payment that is too low. There will be no more nasty surprises at the end of a bad winter. Knowledge is power (if you’ll pardon the pun).